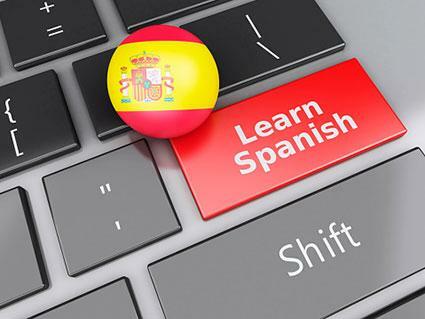 An online Spanish dictionary is a convenient way to improve your Spanish vocabulary, your understanding of the language, and your communication and reading skills. There are excellent online dictionaries to suit your needs and preferences, some with additional resources to help you advance your Spanish knowledge. Each of the four online Spanish dictionaries listed here includes audio, so you can hear the correct pronunciations. The online Collins Spanish Dictionary translates English to Spanish and is from one of the oldest dictionary publishing companies. It is easy to use and rich with information. Type an English word or phrase in the search box and you will get back the Spanish translation. In addition, you will get other Spanish and compound versions of the word, examples of how to use the word in a sentence, as well as translations in other languages. This dictionary not only helps your vocabulary but can also help improve your Spanish grammar and other Spanish language skills. The Word Reference English-Spanish Dictionary is another extensive resource. According to the creator of the site, it is one of the most visited in the world and the prototype for other dictionaries. Like the Collins dictionary, you plug in an English word or phrase in the search box and get back a wealth of information. You will get the most useful Spanish translation of a word and its usage in sentences, as well as examples of its use in compound words. This dictionary is linked to the Collins dictionary by way of a second tab that appears on your results page so you can enrich your results. You can also do a reverse Spanish to English search. The site hosts an online forum that answers language usage questions. It is also available as a free app for both Android and iPhone. The renowned, trusted Oxford University Press, famous for the Oxford English Dictionary, publishes the online Oxford Spanish Dictionary which translates English words or phrases to Spanish and explores their meaning through sentence examples. The online dictionary is an extension of the publisher's printed resources. As with the other online dictionaries you simply type your entry in a search box. The site has a helpful blog, useful phrases, and tips for learning Spanish dialect, grammar and the correct gender of words. For those who need help with medical Spanish, the English-Spanish Medical Dictionary is a comprehensive reference. To find the Spanish translation, search for English medical words or phrases by clicking the letter of the first word from the alphabet displayed on the search page. You can also do a reverse lookup from Spanish to English. This online dictionary is a vast compilation of Spanish vocabulary in healthcare, including symptoms, diagnoses and anatomy illustrations. There are excellent sample questions of common questions a health provider usually asks a patient as well lessons in Spanish culture to help put the vocabulary in context. Through this site, providers can also enroll in medical Spanish courses tailored to their job. Even if you are not in a healthcare field you will likely find this online Spanish dictionary useful. A web-based Spanish dictionary provides easy access when you need to translate a word or learn how to use it in a sentence. The best dictionaries go further to help you immerse yourself in the language if that is your goal.